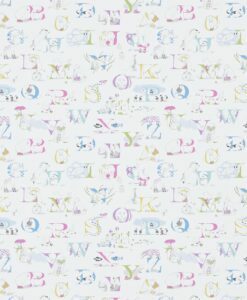 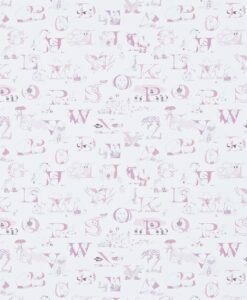 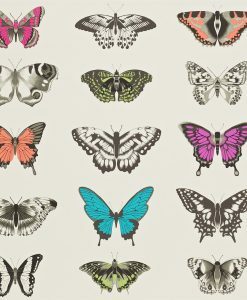 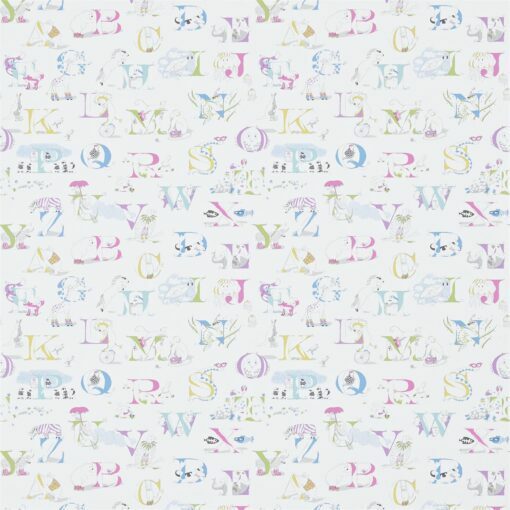 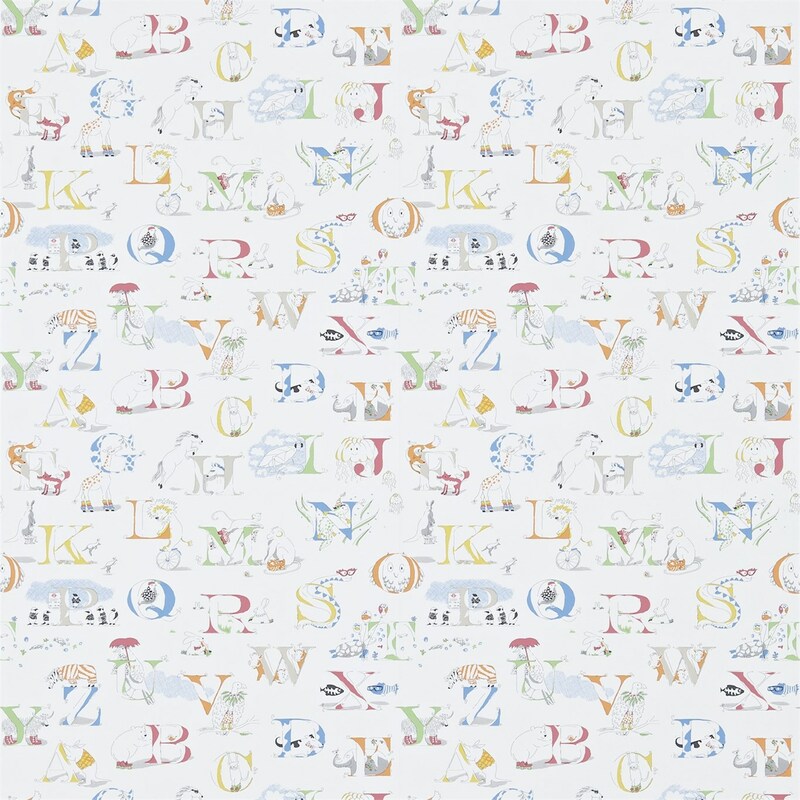 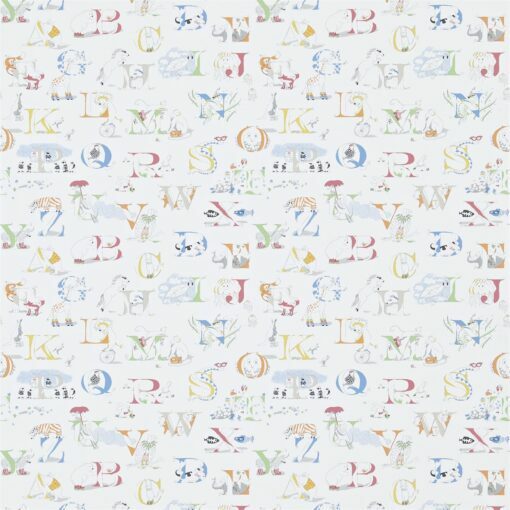 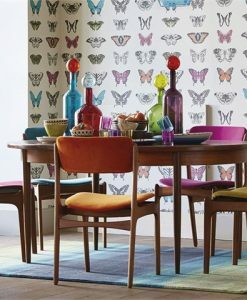 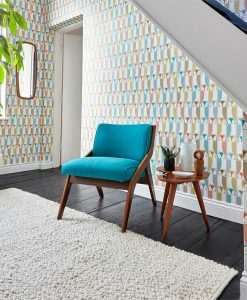 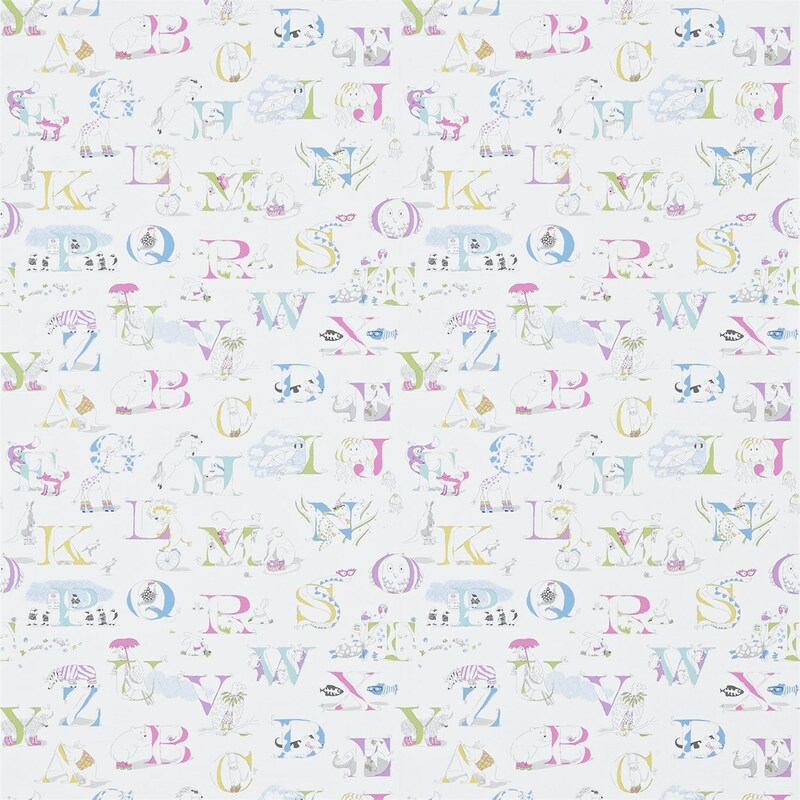 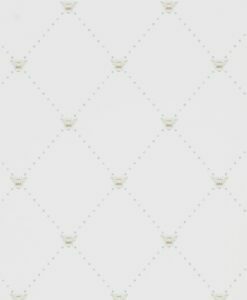 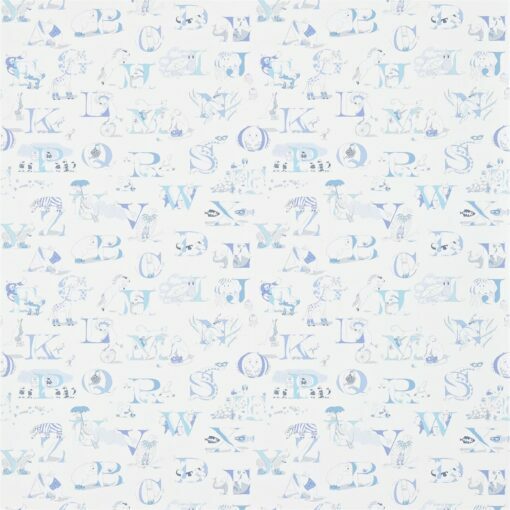 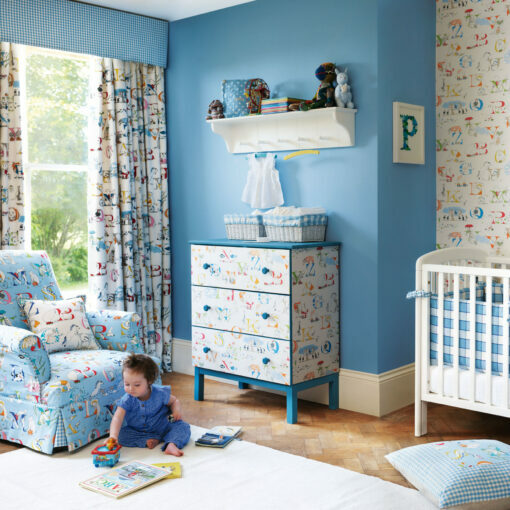 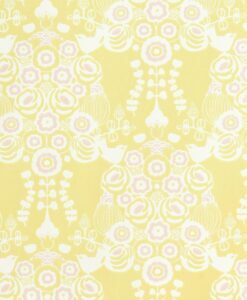 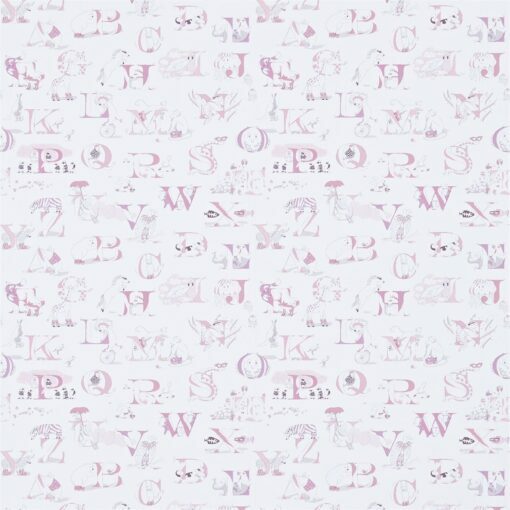 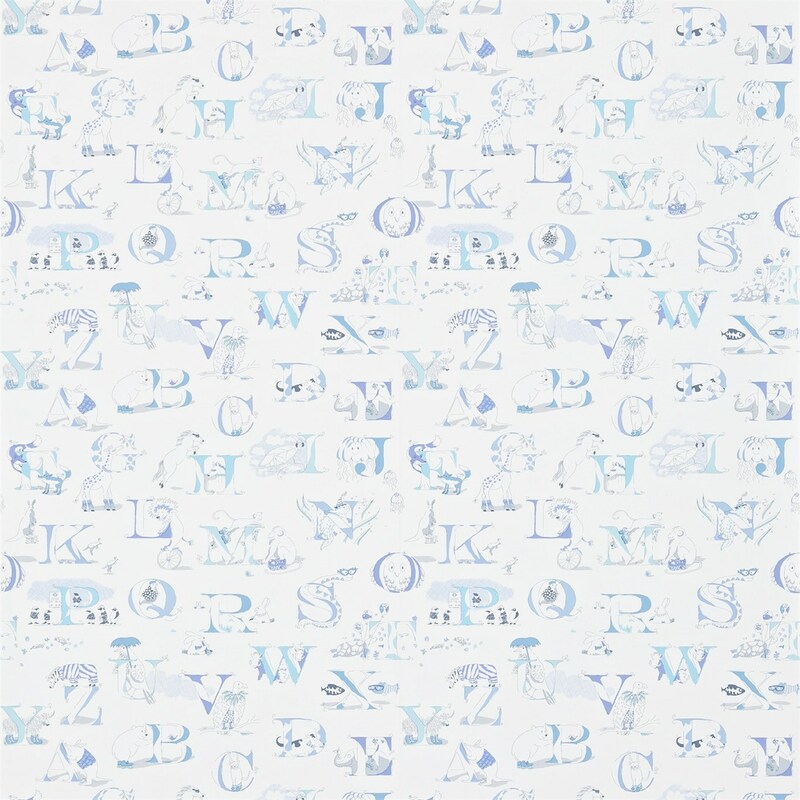 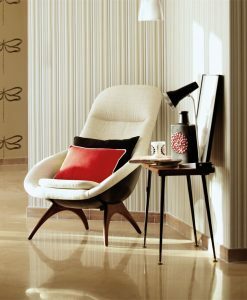 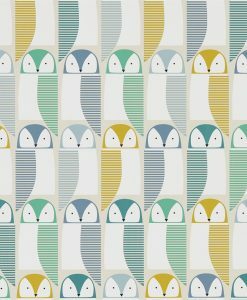 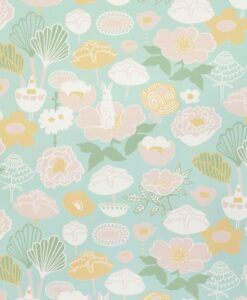 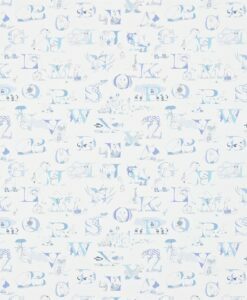 Two by Two wallpaper from the Abracazoo Collection by Sanderson showcases the alphabet in this gorgeous design by Tony Trickey. 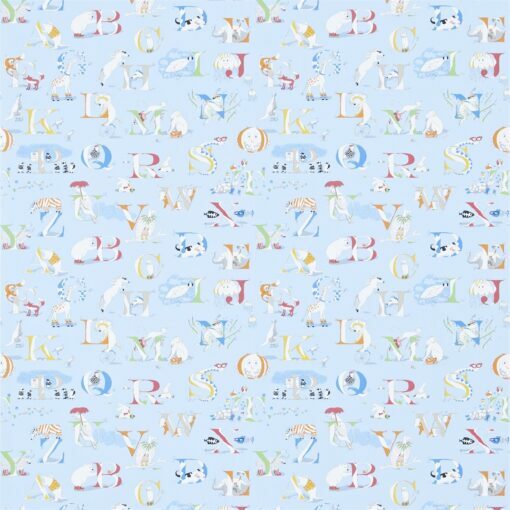 Rollerskating bears, snakes in sunglasses and giraffes in legwarmers. 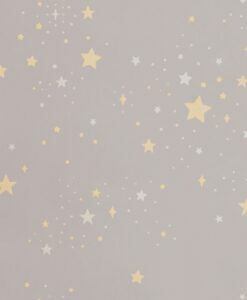 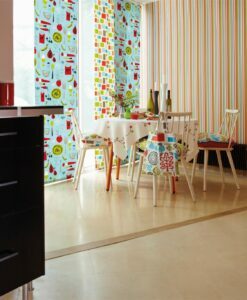 Kids will LOVE this wallpaper. 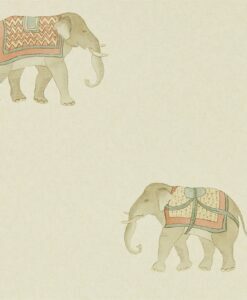 Availabe in 5 fresh colourways. 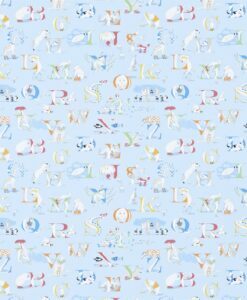 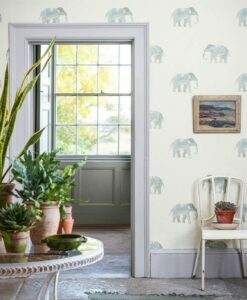 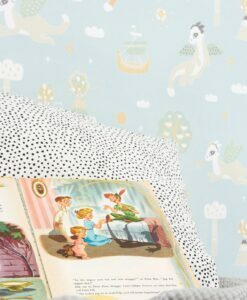 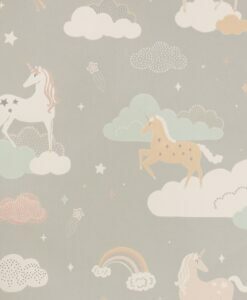 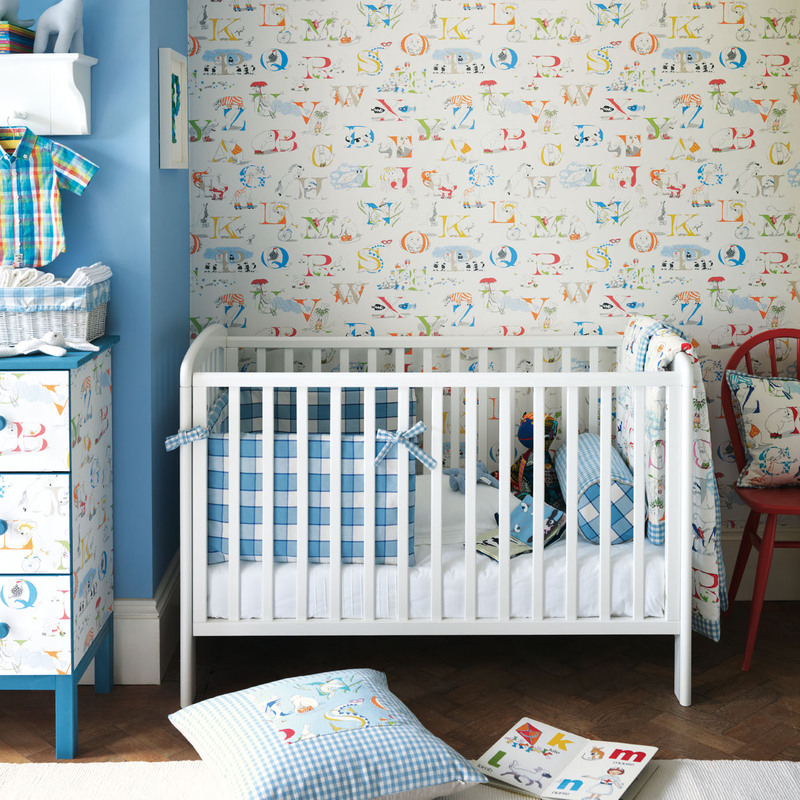 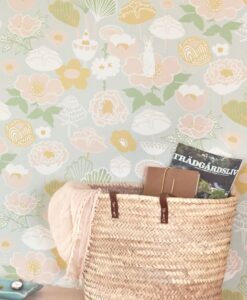 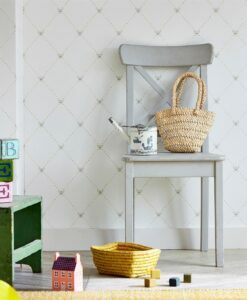 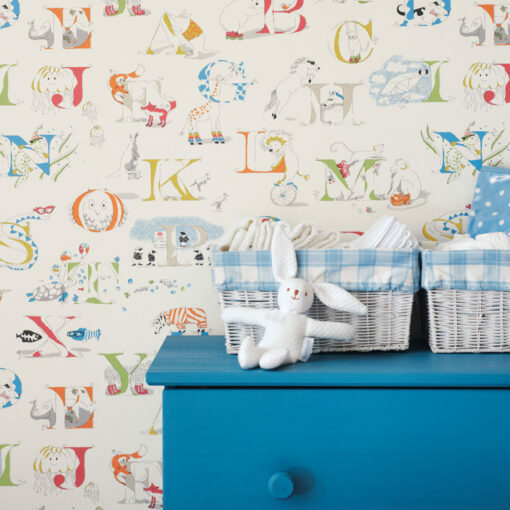 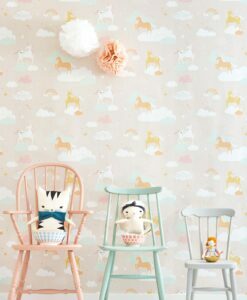 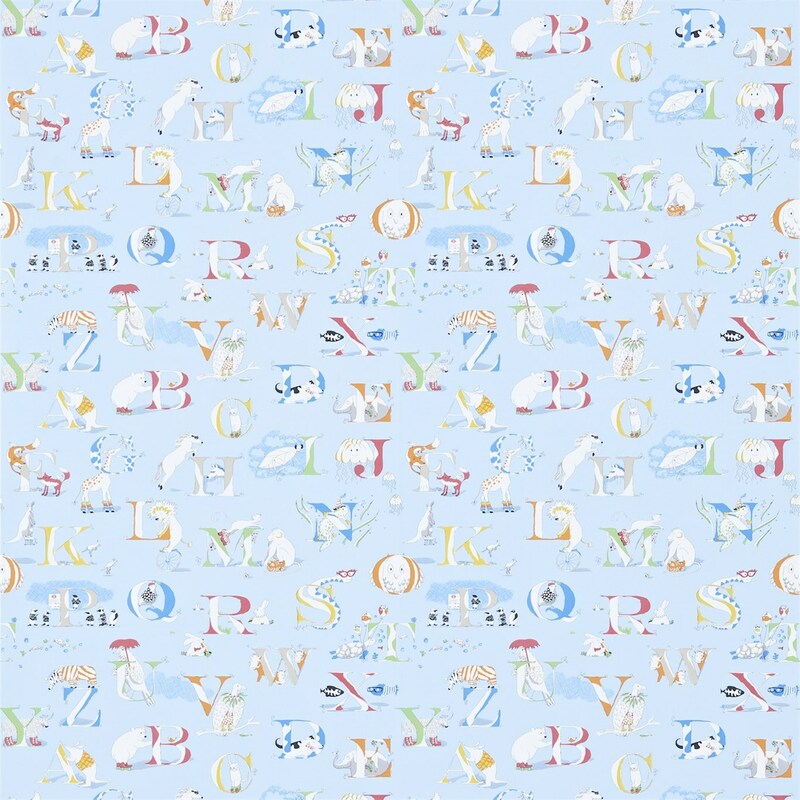 Here’s what you need to know to work out how much Alphabet Zoo Wallpaper you need to decorate your home.